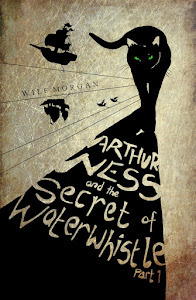 Hello and welcome to the website for Arthur Ness and the Secret of Waterwhistle! Let me introduce myself - I'm the Cat. (Yes, the good-looking one in the picture at the top of the page). I live in a place called Arilon where there are loads of floating islands and flying ships and a really nasty queen and Weavers and Sharp-Eyes and Needlemen and a terrible creature called the RainHand and what do you mean you can't keep up? Come on, I'm not talking that fast. Okay, okay, fine, I'll go back to the beginning. I forget, you're only a human, after all. Arthur Ness and the Secret of Waterwhistle is a two-part story (though there'll be other Arthur Ness adventures to follow). Part One is out NOW. Part Two is out SOON. (Sorry about the capitals. I just enjoy randomly putting THEM IN). 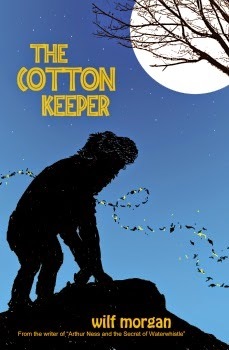 To give you a flavour of the first book, let me hand over to the author, Wilf Morgan, as I think he can probably put it best - seeing as he's only a human, same as you. Woah. I'm a little intrigued and spooked myself - and I know what happens! Just keep checking back here for when more things magically appear such as short stories and creative writing tips. You can also get direct access to all the articles by using the Blog Archive list on the right-side of the screen, there. Alright, that's enough. What are you still doing here? Get over to the prologue and start reading. It's free you know! Yeah, thought that might do it. Be careful out there - there are many strange things going on in Arilon and Waterwhistle. You make sure you stay safe. Oh, what am I saying? Safe is for losers. Forget safe. Follow me, instead. After all, it's not every day you meet a talking cat, is it?